Head coach Rod Wilde’s unique winning history is a primary reason for athletes to attend this summer volleyball camp. Coach Wilde is a three time USA Olympian, once as a player and twice as a coach. Rod was a two time NCAA All – American and the first person to ever win an NCAA gold medal as a both a player/coach. Coach Wilde continues to work with the USA High Performance Volleyball program as a head coach and mentor. 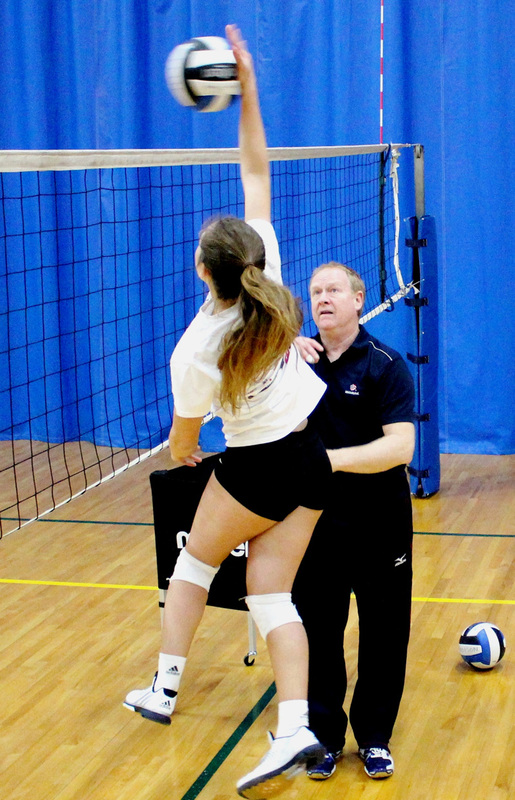 During his 38 years as a volleyball coach, Rod has worked with athletes across many age groups. He has lead teams to numerous medals across these competitive age levels including the Olympics. Rod still remains an active volleyball athlete in the sport that he loves and competes in the USA adult open championships. Throughout the years Rod has been named to 16 All – American teams and he has been voted MVP of his division 7 times. Coach Wilde’s continued passion for volleyball and his level of excellence is the main component of what his camps are all about. Athletes from all clubs are welcome to come and learn from a proven champion. This three day, Girls volleyball camp is designed to polish your volleyball skills so that eachplayer/participant is prepared to perform at their very best for their schools team tryouts. For the younger girls this camp teaches the basics and builds a volleyball skills foundation in a way that allows for the best possible volleyball growth. This volleyball camp is presented by Rod Wilde and hosted by Madison Turners Volleyball. Summer camp price is $95 and includes a Volleyball Summer Camp shirt. No Refunds. Rod Wilde is our Summer Camp Director and Head Coach. Rod is known as one of the best youth training coaches in the country. Rod is actively involved with the USA Olympic teams and the USA Pipeline Development Program. In each session we will work on all of the basic volleyball skills; pass/dig, serve, attack, block, position and transition. Skills and drills make every session a good workout and you will have fun. Girls in each session will be grouped by age and skills. At the end of each day we will have scrimmages with coaching instruction that reinforces their new volleyball skills. *Note: each age group will only have one court, so registration will be limited to 12 girls per age group. Reserve your spot today! These highly focused sessions provide finishing touches for your selected skills $25 per player per session. Coaches will pre-select teams and we will run real tournament style scrimmages. Girls will be assigned positions and will rotate in and out just like club or high school ball. This session is a little more competitive but they will learn court etiquette, how to run an offense, how to transition and how to play together like a team. Coaches will be actively instructing during these scrimmages. Cost is $25 per player per session.